Get away from it all in the fascinating town of Glastonbury. Situated on the ‘light side’ of Glastonbury Tor, Honeysuckle Farm Cottages forms a wonderful sun-trap, perfectly balancing the peace and tranquility of a rural get away, with the vibrancy of Glastonbury’s unique town centre. 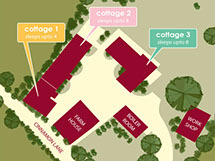 We have 3 luxury, self-sustainable, self-catering cottages which sleep between 4 and 8 people each. 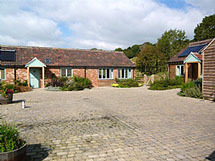 Our ethos is to provide a really enjoyable, environmentally responsible and practical self-catering holiday destination. Once here, you won’t need your vehicle – there’s so much to see and do all within walking or cycling distance – we even provide the bicycles! Steeped in history, with excellent facilities, friendly people, beautiful surroundings and some amazing local attractions you’re sure to have a fantastically inspiring time. 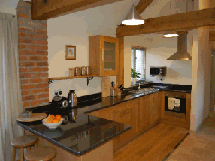 We’ve converted Honeysuckle Farm Cottages with the environment in mind. Using a practical mix of natural or reclaimed materials, existing foundations, and the lastest technologies you’ll find your comfort is fuelled, in a sustainable fashion, by nature..
Honeysuckle Farm has 3 luxury, self-sustainable, self-catering cottages which sleep between 4-8 people. If you would like to book a stay which doesn't fit our standard offering then please contact us and tell us about your requirements. We will always try to ' accommodate you' if we are able to! 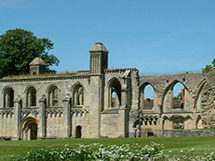 Once you’re here, there are lots of fascinating places to visit - most are within easy walking or cycling distance. © Honeysuckle Farm Cottages 2014. All rights reserved.